In this post I will explain various ways to incorporate audio- and or video files in your APEX application. What’s also very interesting is, since <audio> is a native element, you can store your audio files as BLOB in the database. 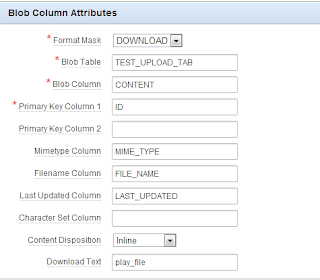 When you create a report on the table containing the BLOB files, you can set the download column to ‘inline’, and then you can start playing a file in your browser, straight from the database. The downside is that your browser needs to support HTML5. If you’re not sure that your application is used only on HTML5 capable browsers, then you have to consider building your own media player. There are a number of media player plugins which are based on jQuery. One that stands out from the others is jPlayer. Your audio player is set now. 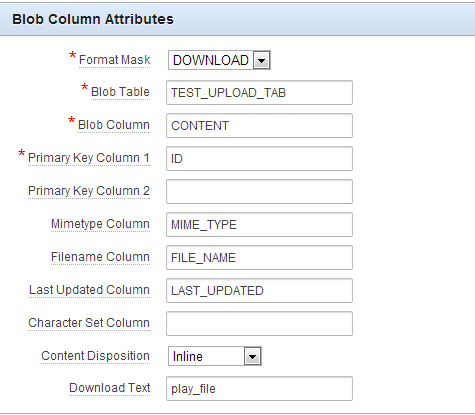 You can further customize anyway you like using CSS, jQueryUI and jPlayer functions and attributes. Now if you want to display a video in your application you can modify the audio player we’ve made, following the jPlayer guidelines. But take in consideration that video files can take up a lot of storage space (a particular problem if you use a workspace of limited size). Another way to include a video in your application is to embed it. You can upload your video to YouTube, Vimeo, or wherever you like. For here I’ll use a YouTube video. To embed a YouTube video, choose your favourite video on YouTube and right click the player. From the menu choose the option “copy embed code”. This code goes somewhere on your applications page, for example in the region source of an html region and you’re ready. If you want to watch a working demo of the discussed media players, please visit my demo application.